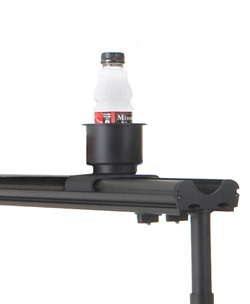 Your Flex Conductor's System has a place for just about anything you need - including your beverage. And rather than balance your drink somewhere that it may tip, just mount this special cupholder right to your TechBridge. Sized to hold all canned beverages and most bottled drinks. Or use it for your pens, pencils, markers ... anything you need to have close at hand.